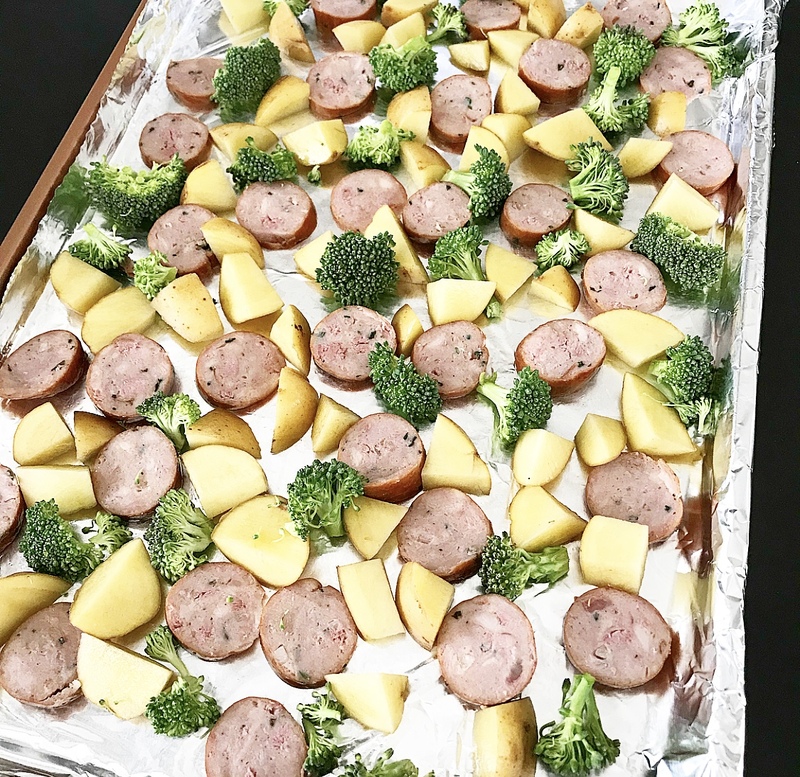 Busy weeknights call for a sheet pan meal….a simple supper with easy cleanup, bonus! 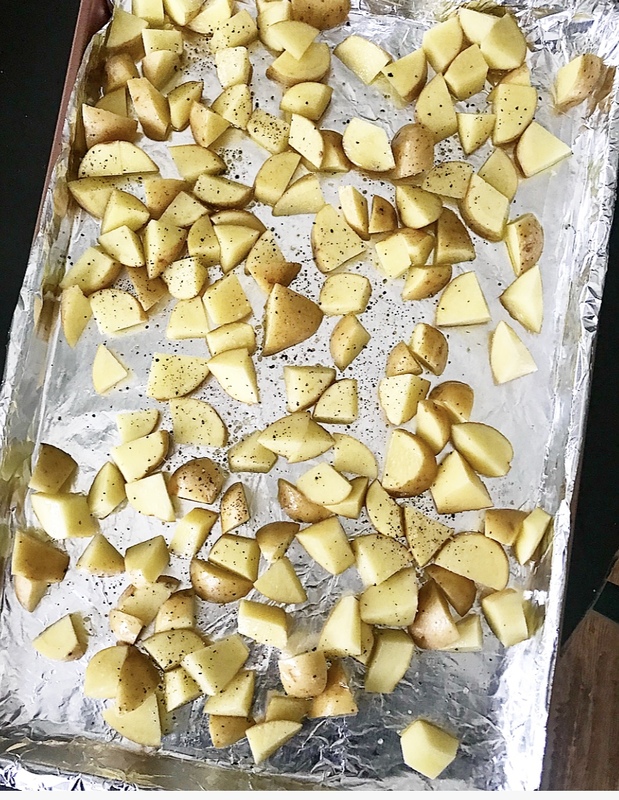 Sheet pan meals are easy and when you’re done, just fold up the foil and toss it in the trash! This one has just three ingredients, seasoned with olive oil, salt and pepper, and is so simple! Preheat oven to 400 degrees. and line a baking sheet with foil. Toss the potatoes and broccoli with olive oil, salt and pepper. Space out the potatoes only on your covered baking sheet in a single layer. The potatoes will take the longest to roast (30-40 minutes, depending on how done you like them!) so place them in the oven first. 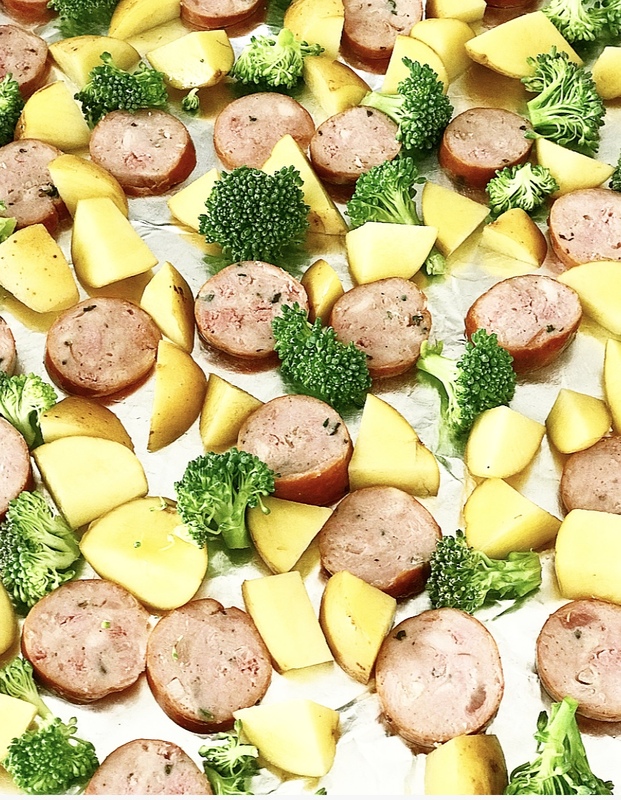 You can add the sausage at the same time if you want, as it is already cooked, or wait until you add broccoli. 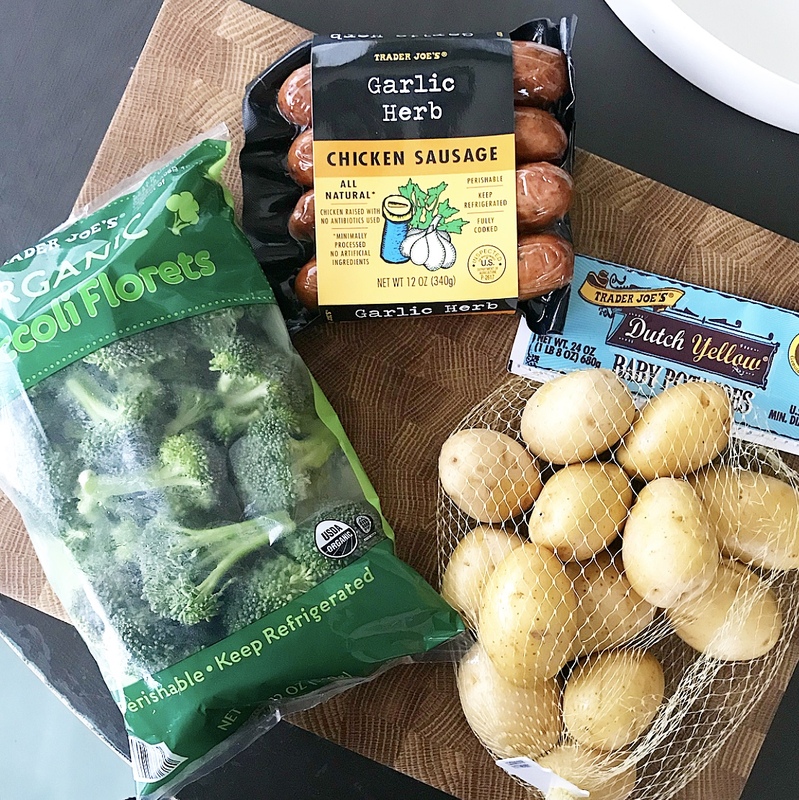 After 20 minutes, take the potatoes out and add the broccoli and sausage to the pan. Place back in the oven for an additional 10-20 minutes. Take out and serve! 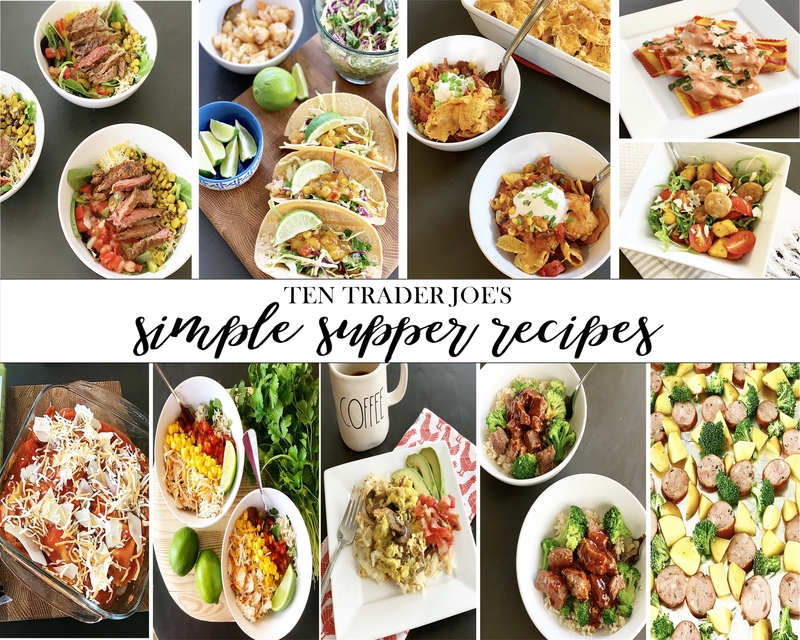 And if you love Trader Joe’s, check out these ten simple suppers using Trader Joe’s ingredients here.